I have been busy, busier than ever. 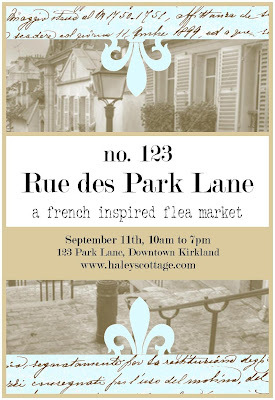 I am getting ready for the French flea market on Saturday, super excited! It's sure to be a good time rain or shine. There are lots of fabulous vendors and we all have tents in case of rain. Remember, there is a Starbucks right on the corner if you need to warm up! I'm also bringing fresh baked cookies! I know, but don't they look so pretty? 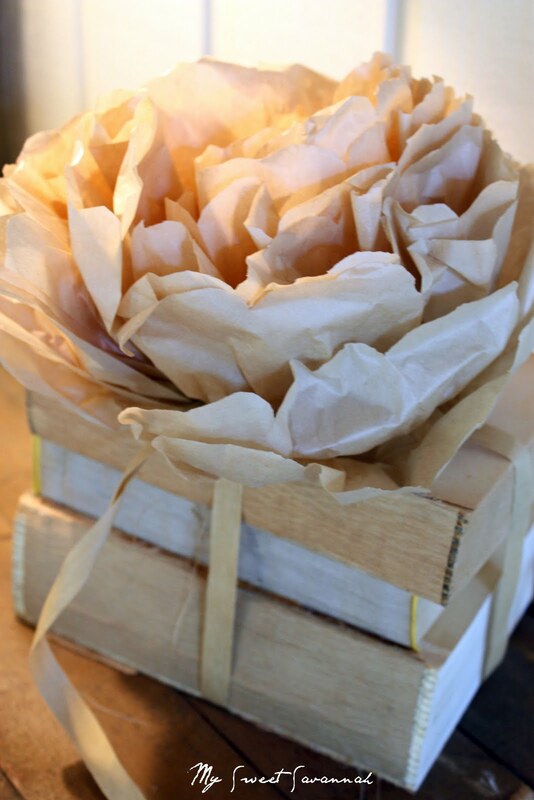 I tied them together with paper ribbon and added tissue paper flowers to the tops. I discovered your blog a few weeks ago & have been enjoying reading your posts. But this one really makes me jealous! I'd love to be able to go! Good luck! Wish I could come! looks like a day fir for a queen!!! So beautiful, wish I lived close!!! Love the books, I have done my fair share of tearing covers off lately, love yours with the flowers on top! Good luck! those look SOOO pretty! Do you have a tutorial for the flowers? They are so cute, I would love to try to make some! these are amazing! i wish i could be there!!! 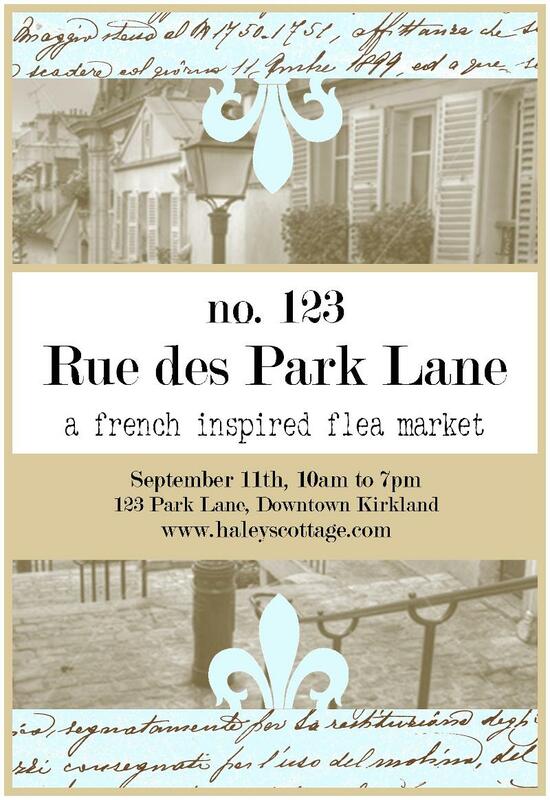 The French flea market sounds fun! I wish I lived closer. 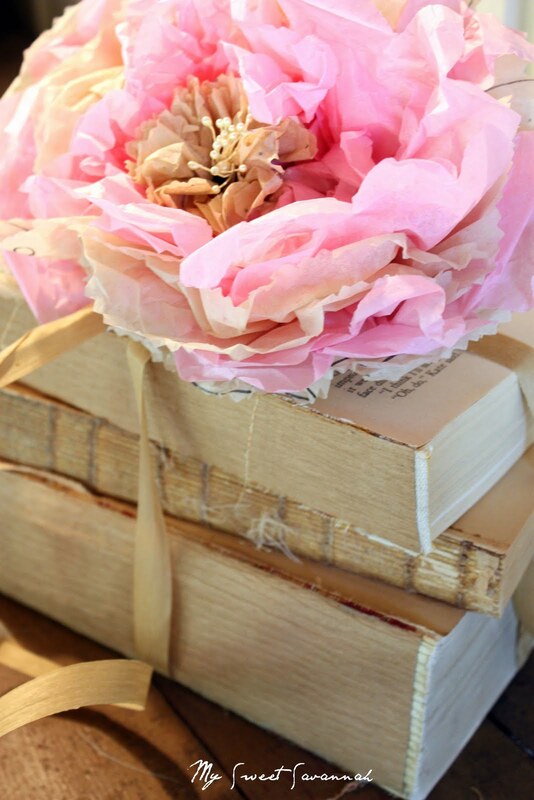 Your flowers are so pretty on top of your vintage books. Very sweet and romantic. Have fun at the flea market! I am sure your crafts and baked goods will be a hit. and I love your paper flowers on the books. 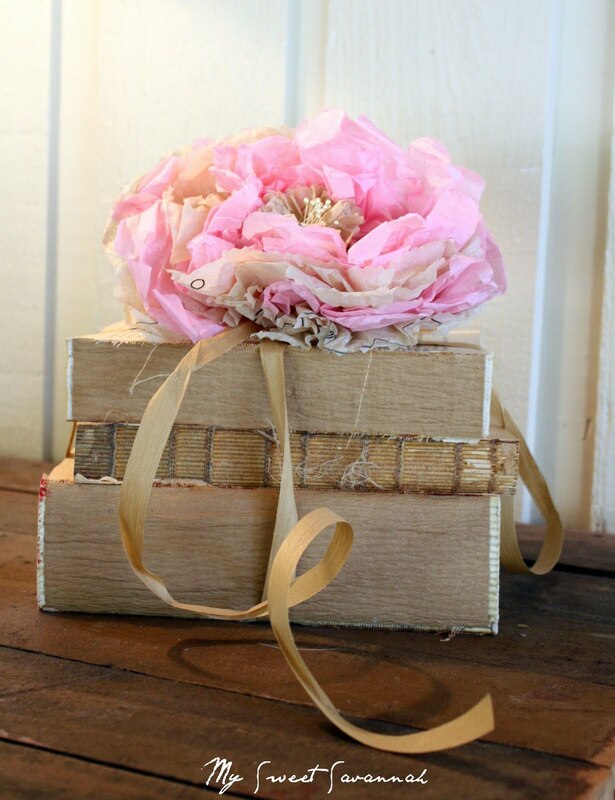 I did a bunch of old paperback books this way but minus the flowers...love that touch! Have a great sale- will be looking for pics !! I LOVE this.... Such a great idea. I wish I lived closer, I would for sure come see you at the flea market.... I hope you have a great weekend! Bummer I live other side of the world otherwise I would come to fleamarket.Bookpackets look so pretty.Good luck for selling. It's a shame I live too far away but you have fun Saturday and I like the idea of the flower on the books. Bye now! I really admire the way you put so much energy, good taste and enthusiasm into all your projects. I would love to see your stand at the fair, please take loads of pictures. Hope it's a huge success! I'm from Israel , I have been raeding your blog for more then two months now. Your post are very inspiring and your crafts are amazing!!!! I would like to know if it's possible to buy your pillows for the Esty shop and have them ship to Israel? Thank you for being such an inspirition. totally pretty..great blog. glad i ran across it. Your books with the tissue flowers are AMAZING!!! You have inspired me to head to goodwill today! Have a great weekend! So wish I lived close! Were you there last year around this time? I think I may have been there! We were visiting friends in Seattle and went to the cutest little outdoor shopping mall and stumbled upon a little french market in the parking lot. I bought a few things too! Sadly I live in Phoenix, so I won't be coming this year. swooning!!! they are gorgeous, oh I wish I lived closer!!! Melaine....Ive seen this and think it looks really nice! I like your flower much better thank what I saw. Good luck. So very pretty! Enjoy your day! 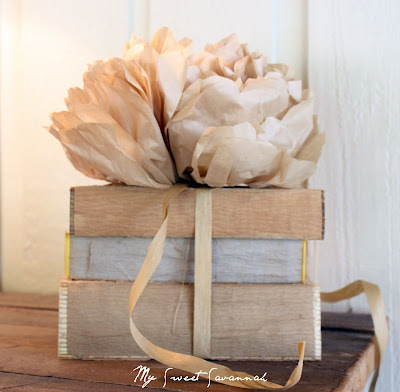 pretty books... love that idea! Looks like a great day I wish I lived closer. Let us know how it went. Love your blog...went to the flea market today...it was a wonderful time! Your booth was darling. perfect location! Wish i could come! Love that paper flower and book combo! SO cute! tutorial.....? I chatted with you briefly today. I did find something to come home with me from the flea market today. A cute shabby pink bookcase. Now I just need some time to reorganize my books! These are so dreamy! I have stripped a few vintage books myself lately! Beautiful!! Those beautiful flowers are the crowning touch for the books....gorgeous!